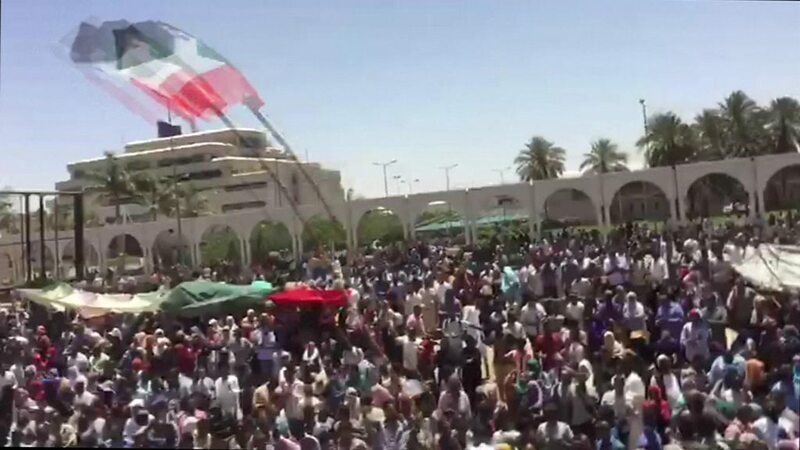 Thousands of protesters spend another night camped outside Sudan's headquarters and demanding President Omar al-Bashir step down. They seem to hope for an internal coup and ask for the army command to remove Mr Bashir and open the way for a transitional government. This is the biggest protest against Mr Bashir since the turmoil began in December. Mr. Bashir has refused to leave, saying opponents must seek power through elections. The army has not intervened. The security forces have fired tear gas to try to spread protesters outside the army connection in the capital Khartoum. The latest collections mark the 34th anniversary of the coup, which overthrew the regime of former President Jaafar Nimeiri. In previous protests, they have also used stung grains and live bullets. Dozens of protesters have been killed. On Saturday, a protest died in Khartoum's twin city of Omdurman, police said. Sudan's Information Minister confirmed the government's plan to resolve the crisis through lectures and praised the security forces. Certain scenes in Khartoum are certainly impressive. Nothing like these crowds have been witnessing for decades. But there have been several deaths and there may be a brutal breakdown operation at all times. And although Mr Bashir was to step down, there is no certainty that he would be replaced by the pluralist government demanded by the protesters. Authoritarian states of the 21st century Africa have become adept at creating the impression of change, but supplying some of the substance. What unfolds now can be part of a much longer and more unpredictable political struggle. 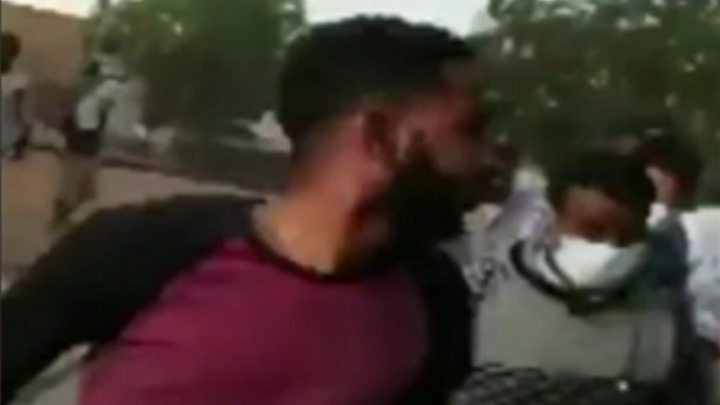 Journalist Mohamed Ali Fazari, who was on the scene in Khartoum, said the protesters urged the army to sit with the people against the government. The audience chanted "freedom, freedom, justice – a people", he told BBC Focus on Africa radio. The protests were initially triggered by an increase in the cost of living, but now demand that the president, who has been in power for almost 30 years, should step down. Sudan's economy has long been strained since the United States imposed sanctions more than 20 years ago and accused Khartoum of sponsoring terrorist groups. In the year that led to this, inflation had risen, while the Sudanese pound fell rapidly in value. The announcement of the price hikes triggered protests which evolved into calls for President Bashir to step down. His rule has been frightened by allegations of human rights violations. In 2009 and 2010, the International Criminal Court charged him with genocide, war crimes and crimes against humanity. An arrest warrant for his arrest has been issued. The Sudanese union (SPA) – a collaboration between health workers and lawyers – has organized the protests. 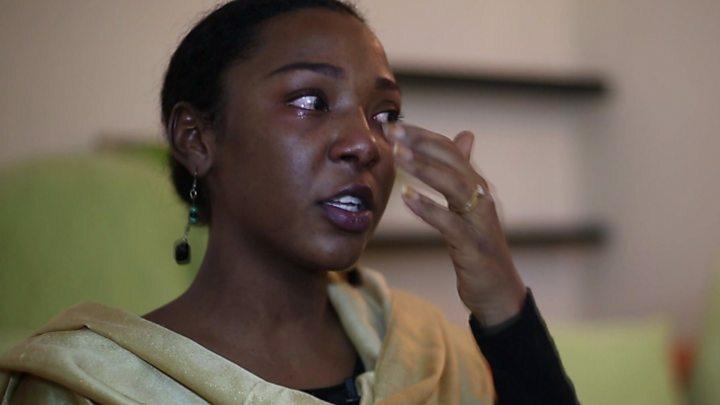 It is estimated that up to two-thirds of the demonstrators are women who say they are demonstrating against the Sudanese sexist and patriarchal communities. Media Function Sudan protests: "No number of strokes will cause us to stop"
How does the President answer? In February, it looked as though he could give in to protests and step down, but instead, Mr Bashir told a state of national emergency. On the streets, security has been heavy, with tearing gas used differently and reports of violence common. Sudanese authorities have been accused of arresting prominent activists and targeting medics denied by the National Intelligence Security Service. The Press Group on Human Rights says it has signs of killing, persecution and torture of peaceful protesters and the medics care for them.